Battlefront Facebook covers can easily fit into your Facebook profile page. They can help share the excitement surrounding the new game by Dice and Electronic Arts. These covers will fit perfectly into your profile page as they are sized to the required dimension of 851px x 315px. Simply save the images at full size to your desktop, or even your mobile device, and then just upload the image to your Facebook account. 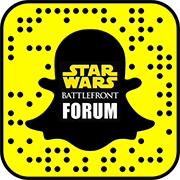 You can show off the monster AT-AT, the Darth Vader lightsaber, or Boba Fett taking to the skies and taking down his foes.